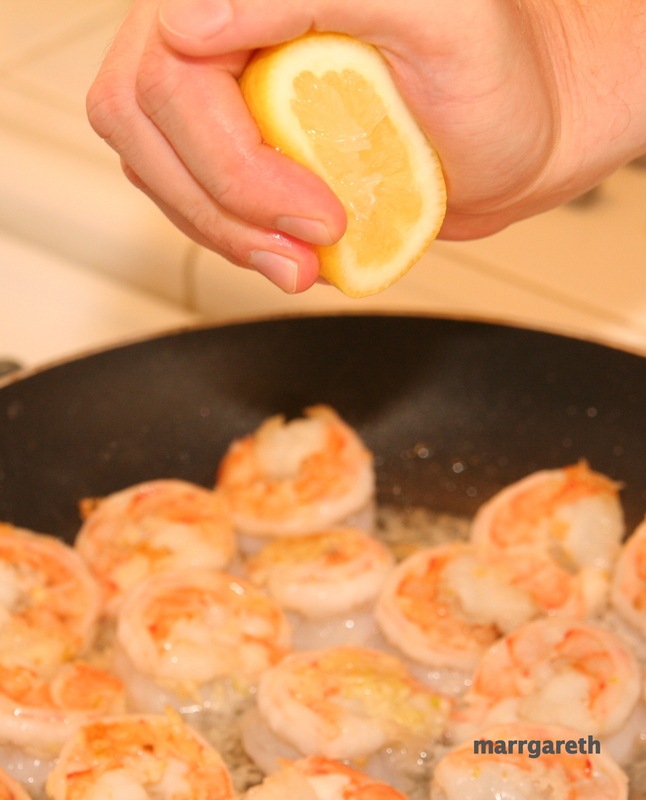 ← How to clean prawns and shrimp? If you are starting your adventure with shrimp, please read this first. 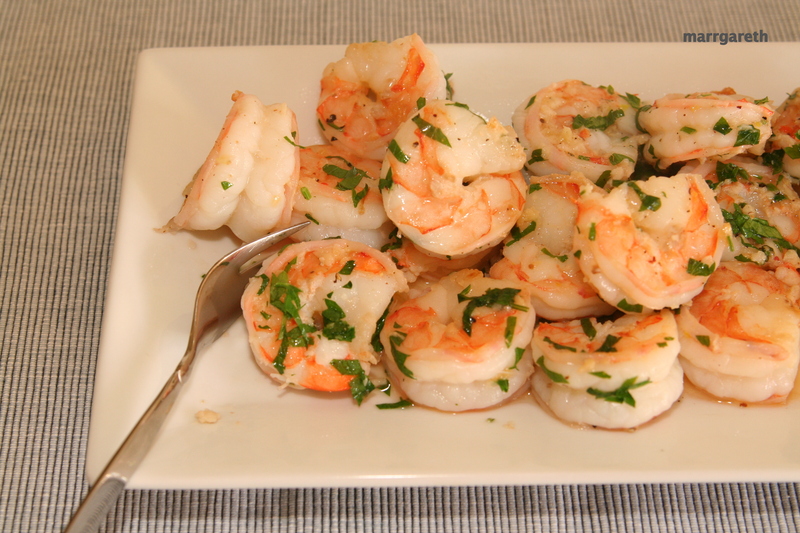 Shrimp and prawns are easy to cook and healthy. Croatian style prawns are one of our favorite dishes. This recipe does not contain milk or eggs. This dish is very quick and easy to prepare and also it is a good option for a hot dinner or quick-lunch on a hot day. Prepare the shrimp, clean them well. If you do not know how to clean your shrimps/prawns read my tutorial: How to clean prawns and shrimp? 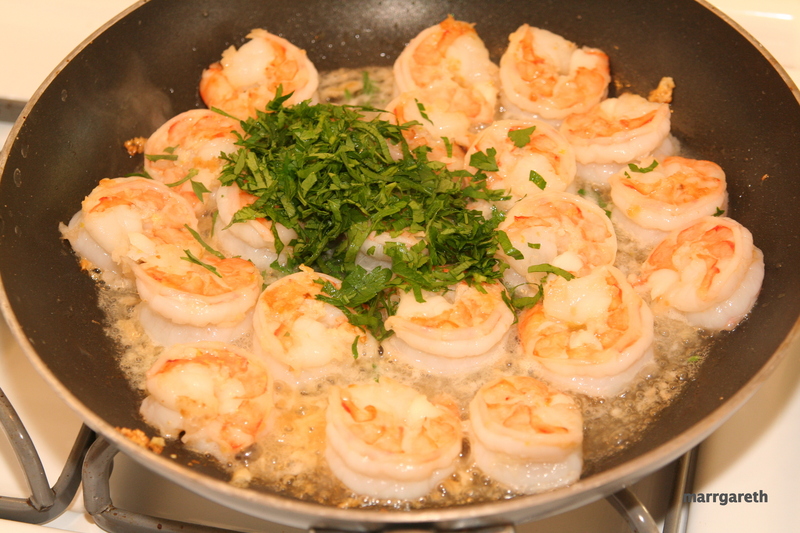 Prepare the necessary ingredients: clean your shrimp first then crush the garlic, chop the parsley, squeeze the lemon. 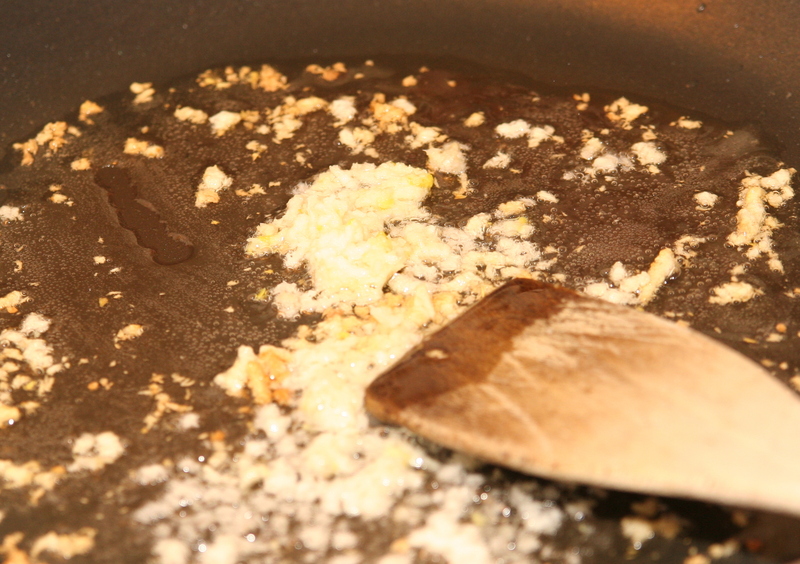 Heat the olive oil on the big skillet, add crushed garlic and fry for about 3o seconds stirring. 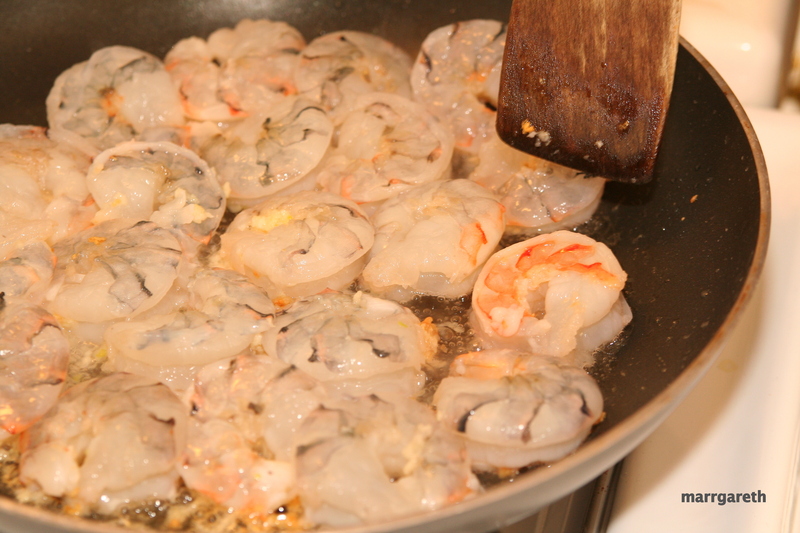 Add the shrimp, cook for about 1-2 minutes then turn them over. 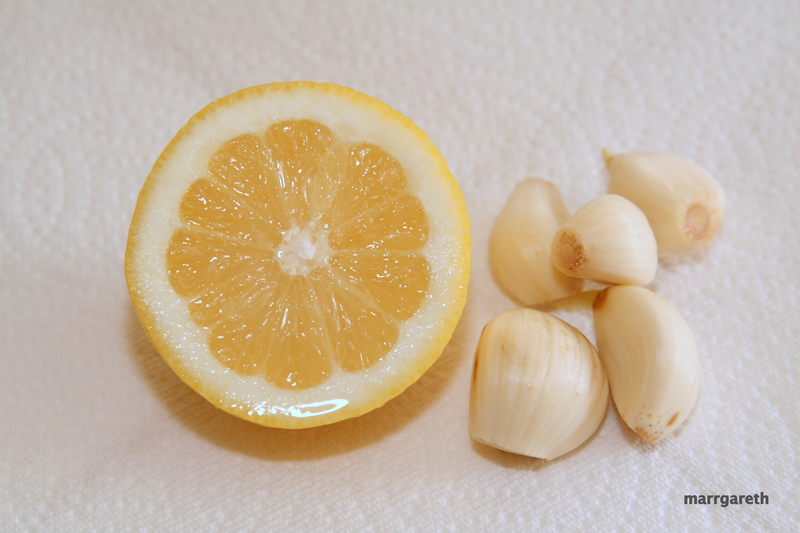 Add lemon juice and cook 1 – 2 minutes more. Add green parsley and stir. If shrimp are red all over, the meal is ready. Do not fry shrimp too long. Overcooked shrimp will not taste good. Serve this dish with bread or pasta.